Of note are maps of the impoundments, a hydro-power feasibility study, and a summary of dam removals in Michigan. This page is regularly updated by the City and will continue to provide paddlers with new information regarding the future of our river and Argo Dam. Please remember to mark you calendars for the public meetings in January and February. To date, locations for these meetings have not been set, but all will take place in Ann Arbor. 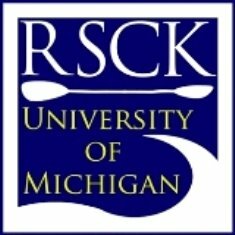 It will be essential for members of the local paddling groups--especially RSCK, EMU, and LAWWP--to attend these meetings. Your help is needed to raise awareness for the sport of whitewater kayaking and to show support for new, sustainable whitewater resources in Ann Arbor. 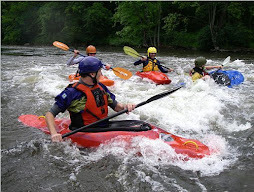 Participation in whitewater kayaking continues to grow, but few people know that the paddling community in lower Michigan has used the Huron for practice and training for over 40 years! Now we may have the opportunity to paddle close to home, improve our river's ecology, and share our sport with hundreds of new paddlers. Stay tuned for more details, including locations for the evening sessions. Neither of these dams provide hydropower, nor do they serve as flood control dams. They are operated as run of the river, which means that what comes in goes out (like a big bathtub). Rather than help control or minimize flooding, these dams are greater safety hazards as they age. If they fail, they potentially could flood residents and businesses downstream. 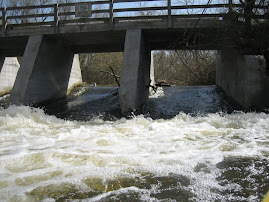 Approaching the former dam site, there are several small riffles, one with a mildly surfable wave at this water level. The former dam site itself has a small ledge drop, best run on the center left (very shallow to the right). It can be side-surfed, and those with short playboats might even get a flat spin in it. My RPM was too long, though. From there it's flat water to the Huron, and take out wherever suits (I went on to Dexter-Huron Metropark). 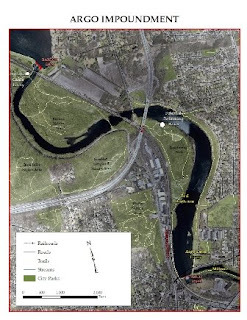 We want to keep the rowing in the City of Ann Arbor, but find another impoundment for rowing. Balancing the needs of the rowing community with the ecological and economic benefits of removal is the tricky part of this drama. As fellow watermen, kayakers should support Rubin's statement. Rowing is an important part of the community--just like kayaking--and rowers deserve to continue using the Huron to practice and train for their sport. However, diversifying the recreational opportunities on the river and providing positive environmental changes are two major benefits of removing Argo Dam. Kayakers and rowers alike will have the opportunity to comment on the City's plans for Argo Dam, beginning in January 2009. Stay tuned for announcements about meeting locations and times.